If your team spends its days asking for permission before executing, taking an hour to complete expense reports or time sheets, attending redundant meetings, or answering irrelevant emails, you’ve got a problem. Processes are supposed to help organizations scale up, improve efficiency for new hires and existing employees, and so on–but they can quickly get out of control. In a study of U.S. and European companies, The Boston Consulting Group found that “over the past fifteen years, the amount of procedures, vertical layers, interface structures, coordination bodies, and decision approvals needed…has increased by anywhere from 50 percent to 350 percent.” What’s more, in the most complicated organizations, “managers spend 40 percent of their time writing reports and 30 percent to 60 percent of it in coordination meetings.” No wonder people feel like they can never get any real work done. Why do we love process so much? It offers a way to measure progress and productivity, which makes people feel more efficient and accountable. When used correctly, processes should standardize and simplify the necessary tasks that keep business running smoothly. They should enable organizations to undertake complex work, particularly as an organization grows. Expense reporting, for example, should have a process that every single employee follows every single time–that’s just common sense. Smart processes encapsulate bundles of organizational knowledge. And that’s a good thing. But it’s not a good thing when there are so many processes in place that they restrain the people they’re supposed to help. If your team spends its days asking for permission before executing, taking an hour to complete expense reports or time sheets, attending redundant meetings, or answering irrelevant emails, you’ve got a problem. Exactly when are employees supposed to find the time to innovate when every task or topic is labeled “urgent” and every deadline is ASAP? Something will eventually give, and that something is going to be the part of the job they can keep pushing off until later. Empowering with permission–but without action:It’s not empowering when people are given more responsibility, yet must still obtain an unreasonable number of approvals and sign-offs to get anything done. This signals a lack of trust. Leaders focused on process instead of people: In an effort to standardize and sanitize everything we do, nothing at work is personal anymore. Leaders look to processes, not people, to solve problems–and it doesn’t work. Where’s the inspiration, the vision? This signals a lack of humanity. Overdependence on meetings: “Collaborative” and “inclusive” are corporate buzzwords, but productive teamwork does not require meetings for every single action or decision. People become overwhelmed and ineffective when they are always stuck in meetings. This signals that politics have taken precedence over productivity. Lack of (clear) vision: Great companies need a grand vision and important goals. Too often, companies have vision or mission statements laden with jargon but devoid of meaning. This signals a lack of purpose. Management acts as judge, not jury: If the purpose of a meeting is to think, create, or build, management has to stop tearing people down when they propose new ideas or question the status quo. This signals a lack of perspective and openness. Over the years I’ve encountered organizations, large and small, that have essentially allowed process to become their culture. I’ve also seen businesses suffer when they assumed that if a process worked well for one division, it would work well for the company overall. Good processes can turn especially dangerous when they creep from manufacturing lines and finance departments into brainstorms and research labs. Some of the worst offenders have been companies that implemented overarching processes like Six Sigma, a rigidly data-driven quality-management program originally designed to tackle manufacturing problems. Fifty-three percent of the Fortune 500 have deployed it and of the Fortune 100, 82 percent have used it. Despite its manufacturing origins, Six Sigma has been used across many industries and sectors, and proponents claim it saved Fortune 500 corporations nearly a half-trillion dollars since its inception. If so many successful organizations are using it and saving money, what’s the problem, right? 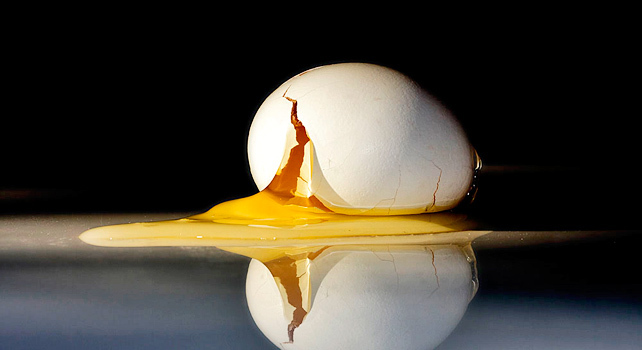 Another oft-cited example of Six Sigma’s negative effects occurred at 3M. When former GE executive James McNerney took the helm in 2001, he instituted a rigorous Six Sigma program, which meant slashing costs, training thousands of employees to become program experts, and requiring extensive reporting on new products in the R&D pipeline. In the short term, especially in the eyes of investors, it seemed to work. Costs were brought under control, production speed increased, and operating margins rose from 17 percent to 23 percent by 2005. But researchers in the labs were stifled by the demands of the new metrics. 3M had a century-long history of innovation, but now R&D had been cut and inventors weren’t given adequate time to tinker with products before having to demonstrate successful commercialization. “We were letting, I think, the process get in the way of doing the actual invention,” said Dr. Larry Wendling, staff vice president at 3M’s Corporate Research Laboratory. In recent years, 3M has significantly changed the way it uses Six Sigma. The company acknowledges that the program adds value in its factories, so it’s still utilized in manufacturing operations. Researchers working in the labs, however, are no longer beholden to the metrics and rubrics of Six Sigma. The shift has been successful–and there are metrics to prove it. One of the best measures of innovation efforts is the percentage of revenue that a company derives from products introduced in the last five years. At 3M, this number had traditionally hovered around 30 percent but had dropped to 21 percent after Six Sigma’s introduction. In 2010, the number was back up to 30 percent and may soon surpass 35 percent. I don’t mean to vilify Six Sigma unfairly. It’s just one example in a long list of top-down processes that people mistake as a silver bullet to improve their entire business. TQM, Lean Six Sigma, ISO, etc.–they all entrench organizations in policies and procedures, minimizing the organization’s innovation potential. When people’s jobs depend on meeting metrics and maintaining the status quo, can you fault them for their reluctance to expend any energy toward creation and invention? Reprinted by permission of Bilbiomotion. 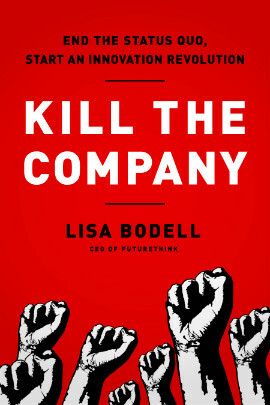 Excerpted from Kill the Company: End the Status Quo, Start an Innovation Revolution, copyright 2012 Lisa Bodell. All rights reserved. Lisa Bodell is an author, futurist, and CEO of futurethink. She serves as a global council member of the World Economic Forum and has helped thousands of senior leaders ignite innovation at Bloomberg, Pfizer, Google, and other companies.